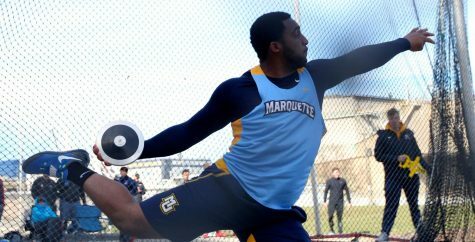 Marquette’s track and field team hosted a dual meet against the Wisconsin-Milwaukee Panthers Friday at Valley Fields. 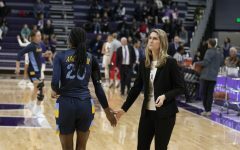 The women notched a win against their crosstown rival, while the men suffered a loss. 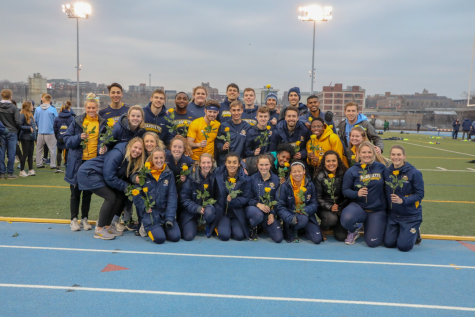 The women’s team won 13 out of the 18 events to best the Panthers 100-84, but the men’s team only won seven out of 18 events, which resulted in a 104-79 loss. The day started with field events, but the meet was put under a weather delay around 3:30 p.m. as a thunderstorm rolled into the Milwaukee area and illuminated Valley Fields with lightning. The storm eventually cleared up and the two teams proceeded with the meet just before 5:30 p.m. It was a good day for women’s field athletes, especially for thrower Kathryn Koeck, who broke her own university record in the hammer throw for the second time Friday. She heaved a hammer 61.12 meters (200.52 feet), which shattered her old mark of 59.79 meters she set just 20 days ago at the Texas Relays. 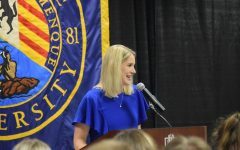 The throw makes Koeck the first Marquette woman to throw a hammer more than 200 feet and was almost six meters better than the second-place finisher. In addition to her hammer throw exploits, Koeck took first place in the discus event with a throw of 40.60 meters. 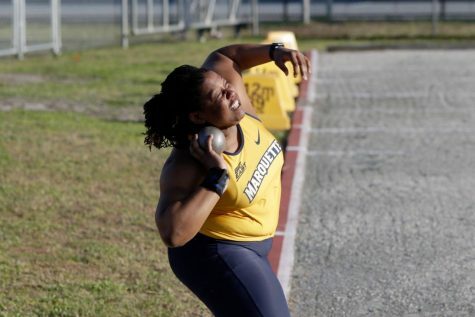 She also owns the mark for the second-best weight throw in Marquette history, a feat she accomplished at the Big East Indoor Championships in February. Senior thrower Samantha Kennedy made her presence known as well. The British Columbia native took first place in the women’s javelin with a toss of 33.76 meters, which is less than two meters shy of her personal best. 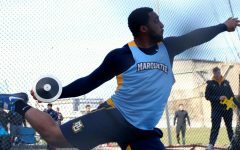 Kennedy later took silver in the hammer throw with a distance of 55.27 meters. 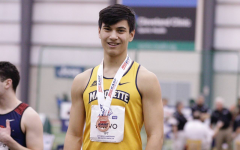 Pole vault was yet another strong field event for the Golden Eagles. Nicole Jaffke and Gemma Tedeschi took the top two spots in the women’s pole vault for Marquette, while Will Ford, John Kaplan and Vinny Martello cleaned up the top three spots for the men. 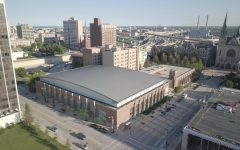 If the men and women were to compete together in the pole vault, Marquette athletes would have taken seven of the eight top spots. 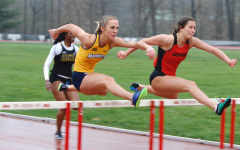 Women’s runners also had strong performances against the Panthers. Jennifer Parker clocked a time of 2:13.95 in the women’s 800-meter event en route to a first-place finish and a personal record. Brittney Feivor followed up her big 5,000-meter win at the Big Blue Invitational April 4 with a win in the 3,000-meter run. 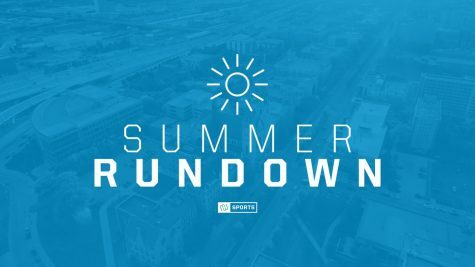 The top five finishers in the women’s 3,000-women event were all Marquette athletes. 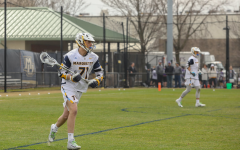 Not to be overshadowed, the men had some impressive results to show for their efforts. 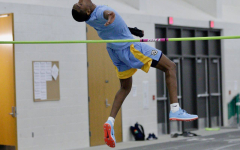 The men’s long jump event was won by the appropriately named Dwayne Dash, who jumped 6.74 meters (22-1.5 feet) for a new personal record. 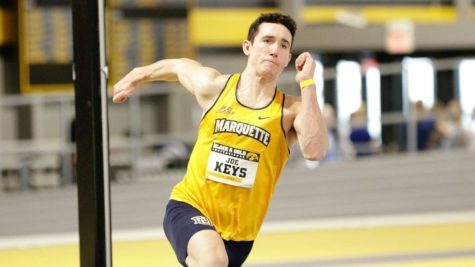 Freshman and Green Bay native Corey Cegelski jumped a scant .36 meters less than Dash, which was good enough for a second-place finish and a new personal record. 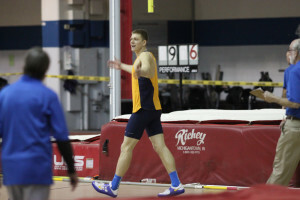 The high jump event was held indoors due to the weather, but that didn’t stop Olympic hopeful Wally Ellenson from winning it yet again. Ellenson cleared a bar set at 6-feet, 9-inches for his best jump of the meet. 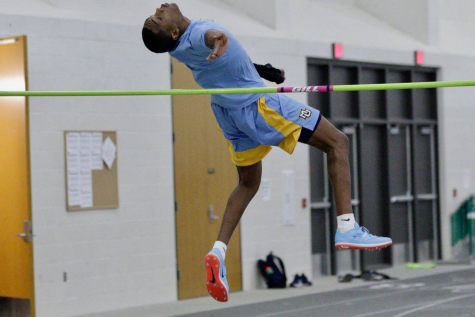 While that jump fell far short of his personal record, it was still good enough to claim first place and five points for Marquette. Next weekend the Golden Eagles jet off to California for three separate meets. 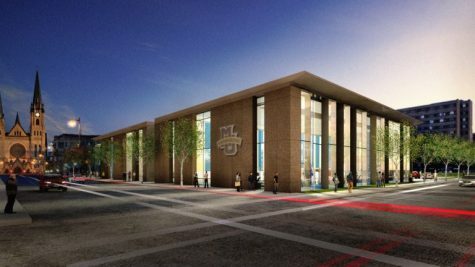 Some Marquette athletes will participate in the Mt. SAC relays in Walnut, which lasts from Friday to Sunday. 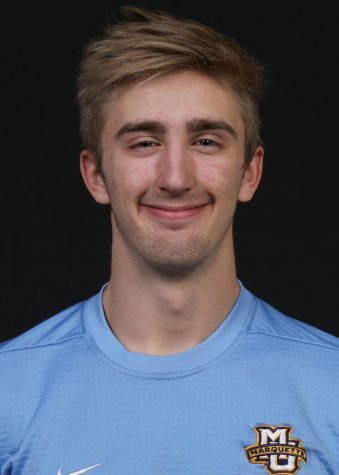 Others will participate in the one-day Bryan Clay Invitational in Azusa Friday or the Long Beach Invitational in Norwalk Saturday.